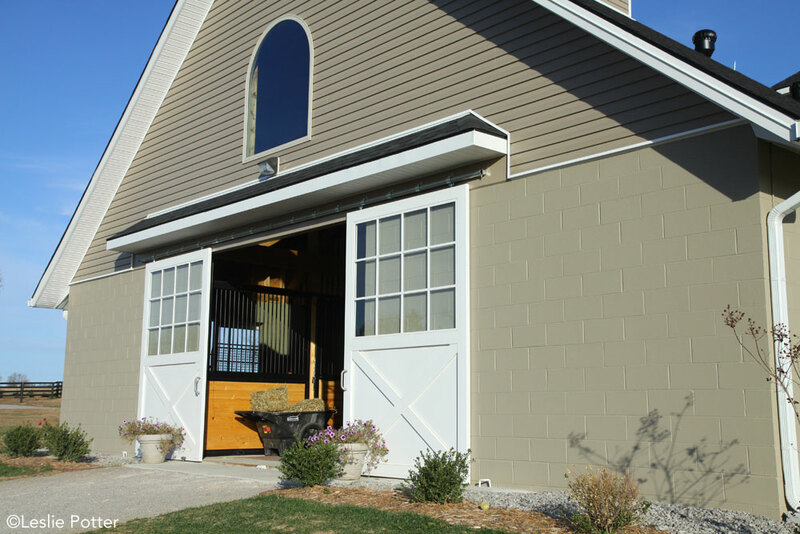 Get a fresh start with barn cleaning hacks that make life easier. There’s something symbolic about shaking off the winter grime to welcome warmer temps. While major energy expenditure may be needed to get through the clutter that has built up over a long winter, it’s helpful to channel that strength so you don’t end up with a lot of tasks partially done and a sense of being overwhelmed. Horse lovers are notorious for preferring horse work to housework, but it’s been proven by housekeeping gurus that cleaning by zone is the most effective use of tidying time. This means that, in theory, you focus your effort on one area of your house at a time so you aren’t scattering your cleaning efforts all over your home. 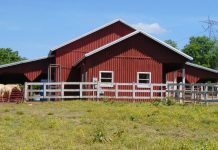 While zone cleaning is designed with weekly housecleaning in mind, it can be applied to barns, as well. In the winter, tack rooms can turn into a catch-all space, playing home to everything from mud-encrusted blankets to frozen hoses and wound ointments. The best way to tackle this space is to remove everything from the tack room first and spread it out in a location that makes it easy to walk around each item. Can I sell it for money to buy something else? Your answers to these three questions will determine what stays and what goes. For the items you are not keeping, consider donating them to a local equine charity or bringing them to a tack swap. If you have a refrigerator or microwave in your tack room, now is the time to give those a good deep-clean as well. While some of what’s in there can be scary (carrots from Christmas, anyone? ), it’s not just food that can go bad. It’s important to carefully check the date on any medications that have been stored; if you have lost power at all during the winter, be aware that the meds may have frozen, compromising their efficacy. Clean the room thoroughly before putting anything back in it; it can be helpful to vacuum instead of sweep so that the stirred up dust is contained. A shop vac can be a good investment, and is more heavy-duty than your home vacuum. If you have multiple boarders sharing the same space, use different color zip ties or electrical tape to identify each person’s belongings. If you use metal saddle racks, wrap them in elastic veterinary bandages (color coded!) to keep saddle pads and other items from slipping off. Have a bevy of bits? Use a pegboard or shower curtain rod and hooks to make bits easily seen and accessed. 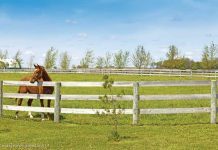 Whether your barn uses built-in tack lockers or individual tack boxes, the end result after a long, hard winter is usually the same: miscellaneous pieces of tack, decomposed treats and a whole lot of dust and dirt trapped at the bottom. Similar to the tack room, the best way to take care of this space is to take everything out, vacuum or wipe down the bottom and sort through the contents to decide what stays and what goes. If you have just a few drops of a product left, make a note of what you need to restock of and then recycle the empty bottles. Measure the bottom of your tack box or locker and head to a local home improvement store. Ask for a scrap of linoleum that will fit the bottom, making it easier to wipe down next time. Install a strip of Velcro on the lid or door of your tack locker and use it to hold all your boots (and polos!). This makes it easier to keep boots clean, as well. Invest in sturdy, over-the-door shoe organizer. The handy pockets (also available in clear plastic) will keep even small items contained. This can be another messy area of the barn to clean—it’s easy to skip spilled grain and supplements in the winter when all you want to do is get back inside where it’s warm. Spring is the time to take everything out of the feed room and clean it from top to bottom. If possible, use every last bit of feed before refilling the containers with fresh grain. 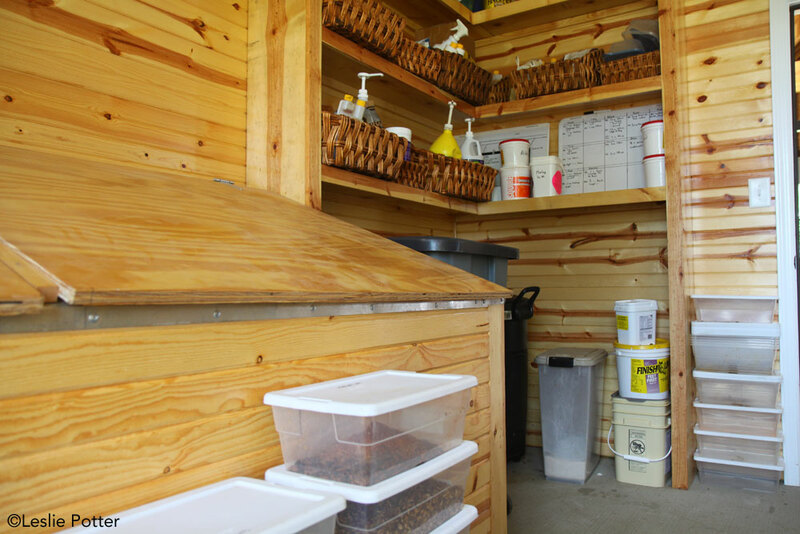 Similar to the tack room, totes and smaller storage containers are your friend here, keeping vermin at bay and contents fresh. Purchase individual feed buckets for each horse (these can be color coded) and glue a plastic sleeve from an office supply store directly to the bucket. Print out the horse’s feed and supplement schedule and place it in the sleeve, taping over the open end. This makes it easy to change out when feed or supplements change. Two words: Label maker. This comes in handy for just about everything in a feed room, including identifying different types of feed. Notoriously high-traffic areas that receive additional wear and tear, cross-ties and wash racks bear the brunt of everyday use. Whether your common area floors are rubber mat, concrete, asphalt or dirt, they all need a deep clean by now. Here, too, you will need to start high and work your way down, beginning with de-cobwebbing corners, cleaning walls, windows and windowsills, and finally getting the nitty-gritty grime out of corners and from behind shelving. Now is also the perfect time to toss those scrubby mitts with no nubs left and the manure forks that are missing a few tines. Remove blankets and send them out for cleaning. When they’re returned, take them home, store them in containers, or place them in vacuum bags to save space and keep critters out. If you don’t have a local blanket cleaning service, dunk blankets in a large bucket (like a manure bucket) full of soapy water, then hang them on a fence and hose them thoroughly. Store as above. Clean and disinfect all stall-cleaning tools and store them facing the wall so that sharp edges and tines don’t pose a hazard for passing legs. Space is tight in a lot of these areas, so consider adding slim shelving with bins for most-used items, like brushes, supplies and helmets. Disinfect all brushes, boots and anything washable, including girths, towels and saddle pads. If you store your hay in a loft, clean the loft first—there’s no reason to have to dust twice! Just like with other barn areas, the goal is to get everything out of the loft so you can begin with a clean slate. By the spring, most of us have piles of bad and usable hay. Go through each of these piles and throw out bad hay; feed the rest to make room for new deliveries. Take all of the pallets out of the loft, disposing of any with broken slats and those that are too worn to hold much weight. De-cobweb as much of the rafters as you can, and sweep out the loft before placing pallets back down and prepping for the first delivery of hay. Now is the time to store all other winter stable equipment, such as heated buckets and tank heaters, in the loft. Wash and disinfect heated buckets; if you have well water and the buckets are stained with rust, liquid Lysol can work wonders at removing the discoloration. Roll up the cords and store the buckets upside-down in the loft. If you use drop-in stock tank heaters, they may be covered in lime. Soak them in white vinegar before storing them with heated buckets. If you’re not using the heated bucket extension cords for fans, roll them up and place them in a sealed container to prevent fraying and chewing by mice. 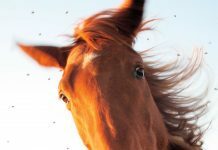 Winter is hard on horses that spend endless hours in their stalls; even with things to keep them entertained, stall walls and floors often become unintentional victims of bored teeth and hooves. The most labor-intensive of the spring-cleaning chores, stalls that are in good shape will save time and effort in the long run. Stall cleaning is easier without major divots in the floor, and horses will have fewer opportunities to harm themselves without splintered wood and bent metal walls. For best results, strip the stalls completely. Once the bedding is removed, you can pressure wash walls and level disinfected mats as necessary. If your stalls don’t drain well, consider hand scrubbing them with a disinfectant solution. Keep a close eye out for salt block holders that have been chewed on over the winter; these become a hazard to eyes and skin. Pressure washing allows you to blast out any feed that has been trapped behind buckets, giving mice a free meal. 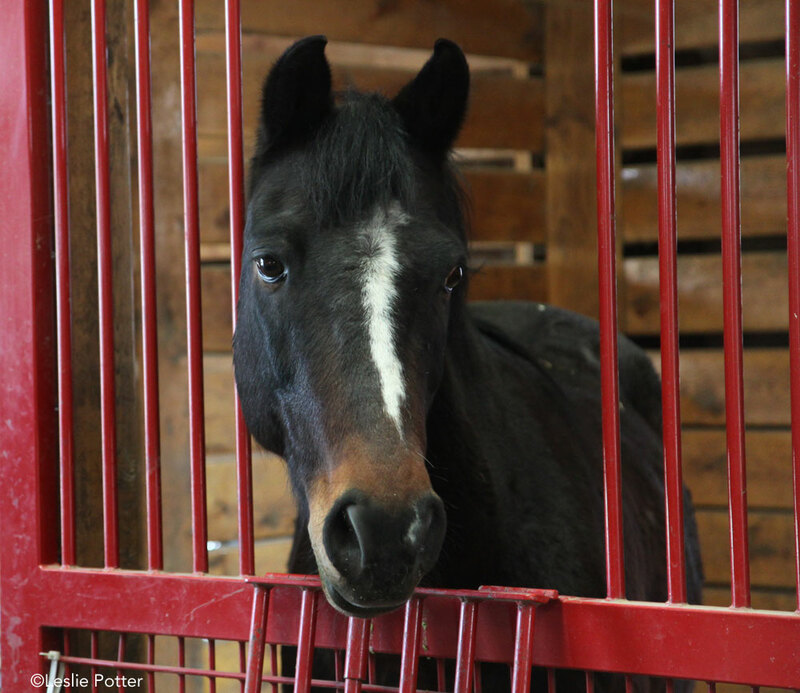 While horses are still out, consider re-sealing or varnishing stalls, or at least those areas that have been chewed. Check fire extinguishers to ensure that they are in good working order. If you have any questions, contact your local fire department. There may be nothing more satisfying than a freshly scrubbed barn, except maybe time in the saddle after a long winter. When you’re not digging to the depths of tack lockers or searching for brushes, there’s more time to spend with your horse!